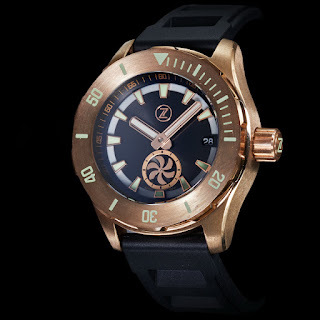 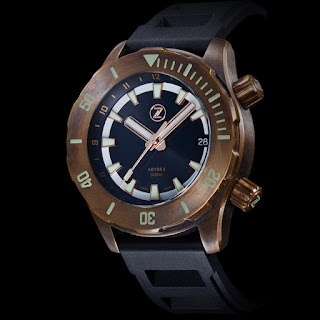 ABYSS 2 – coming to a wrist near you soon! 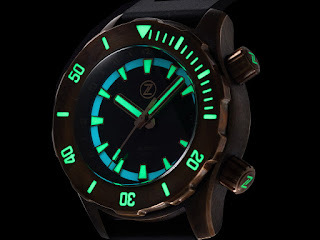 It is of course the latest deep diver’s model from Zelos, a refresh if you will of their deep diver, the ABYSS. Like its predecessor, the Abyss 2 boasts a crushing 3000 meters of water-resistance before it implodes! Unlike its predecessor it now boasts a Swiss made Sellita automatic movement available in two variants – the SW200 or SW260 which is used for the Turbine model. this is fitted with a huge 7mm double domed Sapphire crystal with inner anti-reflective coating. The case measures 43mm in diameter by 51.5mm lug-to-lug and 19mm high. 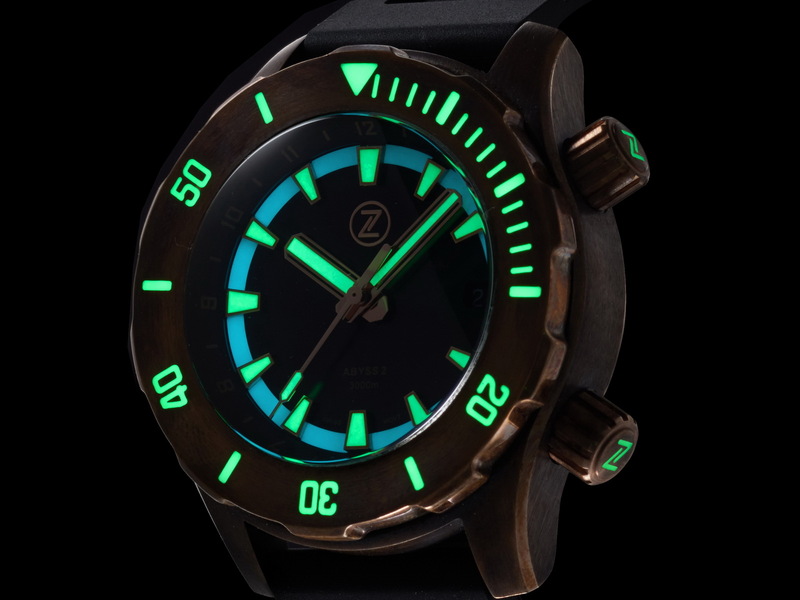 There is total absence of daylight at 3000 meters – this is why the Abyss 2 has Lantern Fish-like glowing multi-layered lume filled into the deeply engraved dive-time scale of its bezel, and the applied hour-markers and hands of its face. 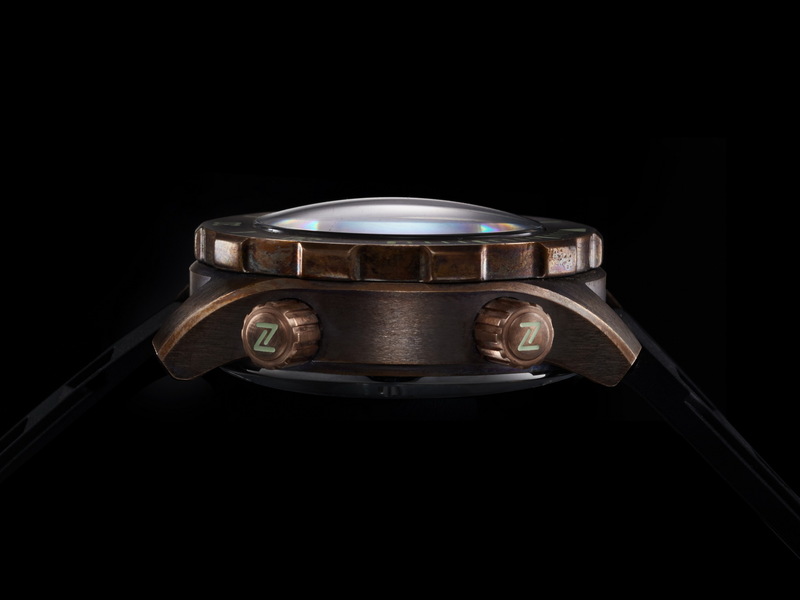 Brightly glowing lume can even be found on the Abyss 2’s crown. 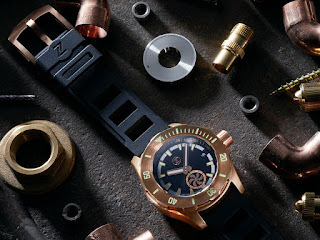 The Abyss 2 is by all accounts is a modern dive watch made from an historic material, Bronze but did you know that the Meteorite used for one of the watch’s dial options is approximately 4.5 billion years old! 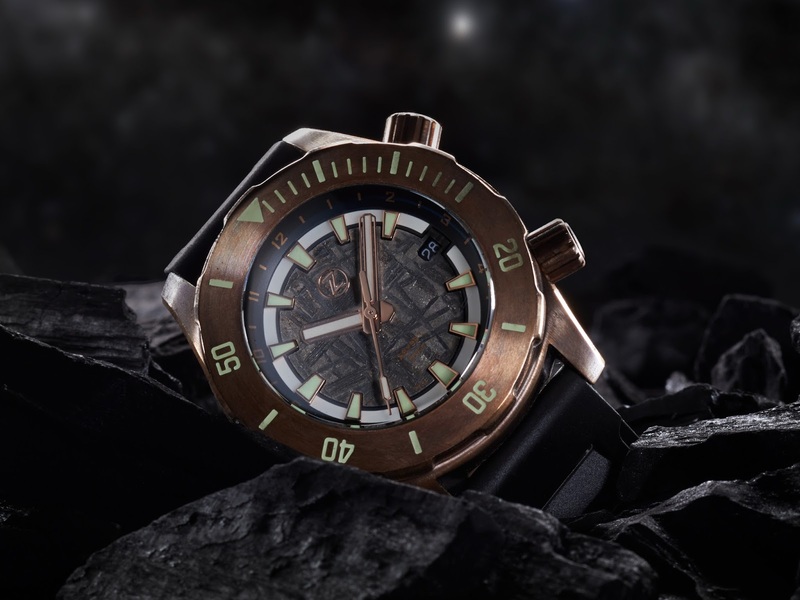 it can only be found in Sweden where it touched-down over a million years ago! Meteorite dials not your thing? 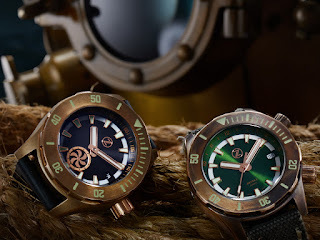 Check out the new sunburst Sea-Green model – one of 6 variants of the watch.